Report Card or Predictive Data? 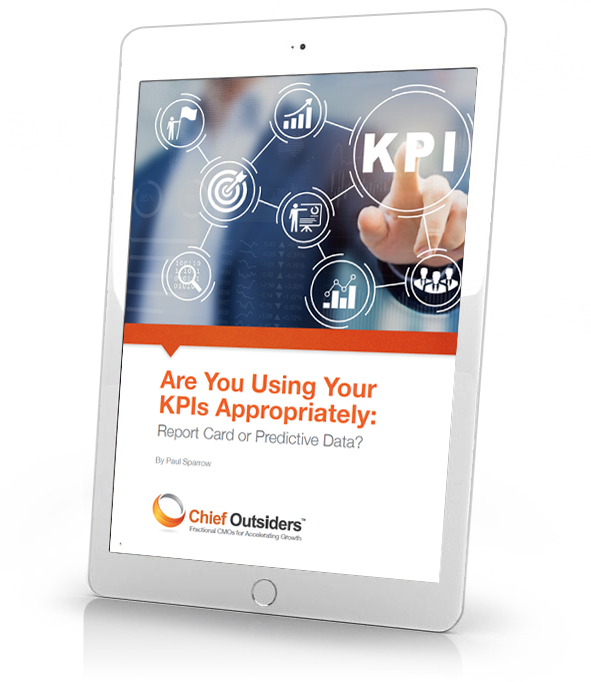 Even if your organization already uses KPIs as a progress report, you may not be getting the insights you need to grow and enter new markets. Wouldn’t it be more useful if your data predicted how you were going to do – and why you would end up there? That’s the information you would like to know— and what we can define as Key Predictive Indicators. Download Paul Sparrow's ebook to find out how to have the right predictive mindset, possess a better understanding of which tools and metrics will assist you with your forecasting, and know how to empower your team to help you achieve success.